The Omnifilter TO1DS reduces that pesky dirt and sand you don't want in your water and will provide benefits well beyond sparkling clear drinking water. Did you know that uninvited sediment can have a detrimental effect on the life of your water heater and other appliances? Appliances bogged down with sediment simply can't work efficiently, and filtering to reduce it is just a really good idea. Get started today, give your appliances and your wallet a break! 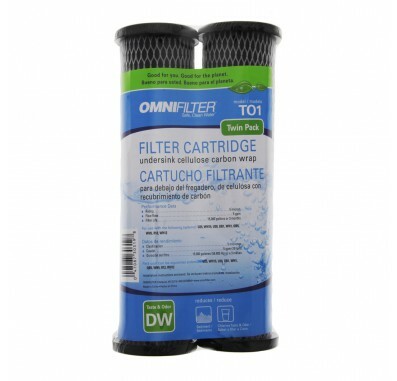 The OmniFilter Whole House Replacement Filter Cartridge fits Omnifilter OB1, OB5, U24, U25, R12, R14, and Omni Regular systems. Whole house filtration, providing dependable water at every spigot in the home. Chlorine taste and odor reduction for superior palatability. Easy to install for the do-it-yourself homeowner. Fill reusable water bottles at home for an affordable alternative to costly bottled water.